What a Thanksgiving surprise! Stampin’ Up set a goal to recruit 10,000 new demonstrators this year and Sunday night we hit that goal as yet another person took advantage of the half-price Starter Kit special that runs through Nov. 30. SU co-founder Shelli Gardner flew across the country to deliver that demonstrator’s starter kit in person — and it’s a great video. Enjoy and have a wonderful Thanksgiving! AND, WE’RE NOT DONE YET!!! What a fabulous company to be part of! May your Thanksgiving be especially BLESSED today – Happy Thanksgiving! 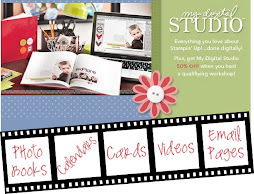 ← HOLIDAY EXTRAVAGANZA – MY DESIGN STUDIO HALF OFF!